While the record labels continually empty chambers and reload hoping to find that magic bullet, record stores have taken charge and adapted themselves to the crashing and surging marketplace. 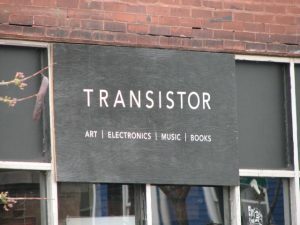 At 5045 N. Clark St. in Andersonville (less than a mile west and slightly north of the Aragon and Riviera), Transistor has taken steps to be a most unusual brick-and-mortar. 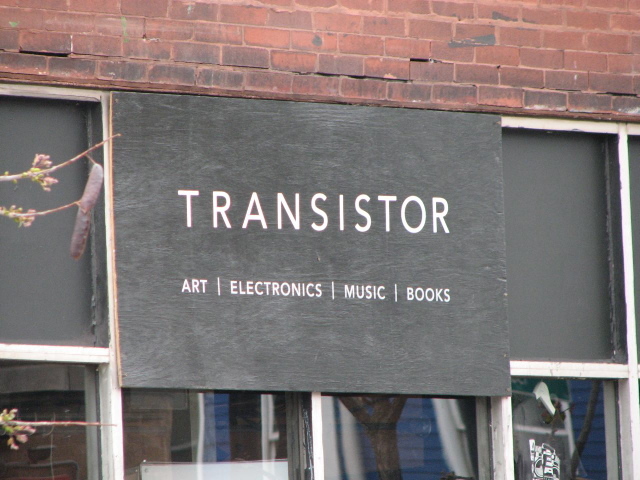 Though not strictly a music retailer — art, books, and electronics jostle with vinyl displays and CD shelves — owners Rani Woolpert and Andy Miles‘ attitude toward performance puts it at arm’s length from more traditional in-store bookings. Yes, the last Friday of each month features local bands with a BYOB perk (if only the neighboring Hop Leaf let you walkabout with a goblet), but it’s weekends where things get interesting. Saturdays can feature activities as canny as upstart photography classes, and Sunday is the real pearl: an on-site webcast from the store’s built-in radio booth while customers slurp amber booze and play ping-pong. We cried when Robert Feder had to leave, scowled when Jay Mariotti inserted himself into the news yet again. But then we sat up straight when pop-music critic Jim DeRogatis announced his resignation from the Chicago Sun-Times in late April. (Was your decision made on 4/20, dude?) The newspaper on which he built his reputation has been going out of business for what seems like a decade now, but that he’s defecting to a staff position at Columbia College and continuing to blog on Vocalo.org (alongside Feder) says the foundation may finally be ready to crumble. He’ll be missed: For nearly 20 years, DeRo pushed music criticism forward, often in tandem with the Tribune‘s Greg Kot (the pair still host “Sound Opinions” on WBEZ-FM). His fondness for the medium led to a number of books on his beloved psychedelic rock, and he also wrote the definitive bio on O.G. rock scribe Lester Bangs. At the CMJ and South By Southwest conventions, a lot of big-name celebs wax philosophical about the future of the music biz and speak of an idyllic lea where mastering telepathy can ensure “Who Let The Dogs Out” is stuck in your foe’s head all day. The NARM Convention (National Association Of Recording Merchandisers) will actually provide you with people whose skin (and heads) are in the game. Happening from the 15th to 17th at the Chicago Hilton, a packed schedule will inform not only retailers but techies, musicians, and general hangers-on where the industry is trending and what to watch out for. There are also award ceremonies (Melissa Etheridge, Cyndi Lauper) and showcases, including Randy Jackson presenting his signees Paper Tongues at Buddy Guy’s on the 16th. We waited with bated breath (and baited hooks) for the Lollapalooza (August 6th-8th) and Pitchfork Music Festival (July 16th-18th) lineups to be fleshed out and, wow, are you in for a treat if you were in high school in 1994: Soundgarden! Pavement! Again what sticks out, however — we mean aside from hip-hop being relegated to a sideshow and metal and country being no-shows — is the lack of respect to local artists. Sure, this frees up clubs citywide to promote homegrown talent, but is our cupboard that bare? ‘Palooza only boasts Mavis Staples, Ike Reilly, Company Of Thieves, and electro talent Felix Da Housecat, Flosstradamus, and Skybox among its 147 billion bands, while Pitchfork — which is based here — could count its entries on an M80-disfigured left hand.